The Customer is operating in yacht chartering industry having yacht bases around the world and specifically in the Aegean Sea. Our Customer needed a booking application for renting yachts directly to web customers or/and through brokers. 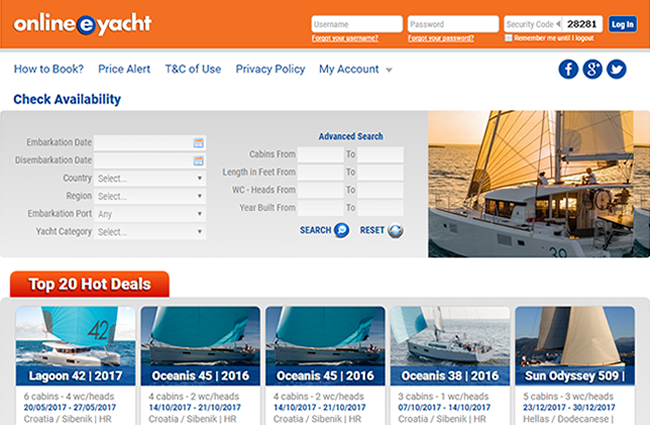 E-yacht is an online booking platform, providing yachts administration to either boat owners or broker agents. Especially, it integrates all services and functionality directly to owners and yachts brokers’ websites. Also, this new web application should be able to connect to other database systems like Nausys and create full profiles of approved yachts and offer them online for booking. All the new facilities had to be connected to his ERP application, gaining centralized administration for bookings, charterers, brokers and yachts. The customer was looking for a contractor who could establish a trusty collaboration in long terms. The contractor could follow customer ‘s development needs as it appears using this new booking application. iBS becomes the Customer’s chosen technological partner and still, today is supporting E-yacht booking application. In 2011, we started developing E-yacht as a web-based booking scalable application. Through API we connected to Nausys database system allowing owners, brokers and charterers to view and amend their bookings online. E-yacht is connected through a secure connection to customer’s ERP, for the logistical and accounting control of all his transactions. Additionally, is connected to the globally known industry platforms, nausys.com and mmk.com. Over 3.000 boats, amongst the most popular worldwide locations, are available for booking. E-yacht through secure SSL 128-bit data transfer and guaranteed data protection with secure payments is offering many value-added services and gives access to essential yacht details and booking plans. It has been developed entirely with the use of PHP and beyond the analysis and definition of ERP and Nausys communication models, we designed the front and back-end interfaces. Until today, it’s a valuable software tool for the yachts’ management industry and, moreover, boosts customer’s business productivity.